Founded and directed by Professor Ken Stein, Emory’s Institute for the Study of Modern Israel is the oldest permanent Israel academic center in the United States. Founded and directed by Professor Ken Stein, Emory’s Institute for the Study of Modern Israel is the oldest permanent Israel academic center in the United States. An interdisciplinary unit that does not confer degrees, the institute promotes teaching, research and learning focused on Israeli culture, foreign policy, history, society and politics for the Emory community and beyond. It promotes student learning with rigorous research and engages the Atlanta community and region with its excellence in programming. “ISMI’s focused goal was to create an understanding of Israel as integral to Jewish history and therefore part of American Jewish identity. Its teaching role educates broadly about Israel’s origins and emphasizes its strategic relevance for the United States in an otherwise tumultuous region,” Stein said about the institute’s objective. ISMI grew out of the disbanded Middle East program at the Carter Center. Lois Frank and Emory College Dean Michael Elliott listen to ISMI founder Ken Stein talk about the institute’s impact at Emory, across Atlanta and beyond. During a two-day conference at its recent 20th anniversary celebration, experts from academia (Asher Susser, Yitzhak Reiter, Yaron Ayalon, Rachel Fish) and diplomacy and think tanks (Joel Singer, Alan Makovsky, Jonathan Schanzer), Atlanta leaders (Dov Wilker, Dan Gordon, Lois Frank), and some of Stein’s former students addressed issues such as Israel’s Jewish identity, the prospects for a two-state solution between Israel and the Palestinians, and the present and future viability of Israel studies on U.S. campuses. “Zionist identity is at the core of most Jews, wherever they are, if we define Zionism today as the belief that Jews have the right to a sovereign state in even part of the Land of Israel,” said Ayalon, who will become the director of the Jewish studies program at the College of Charleston on July 1. 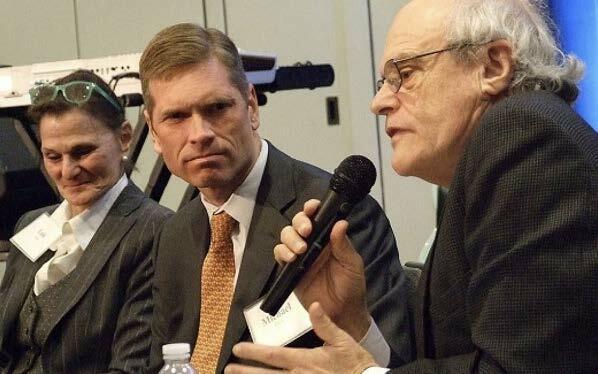 Asher Susser, professor emeritus and former director of the Moshe Dayan Center for Middle Eastern and African Studies, said Zionist identity was transformed after the June 1967 war, giving Jews throughout the world a sense of success and unity. The field of Israel studies is distinct from Jewish studies, which often omits modern Israel except for Hebrew language and literature, which is deep and broad across the country. Israel as an independent area of study remains necessary because most Middle Eastern studies programs at American universities focus on Turkey, Iran and Arab countries. When they teach Israel, it mostly is in the context of the conflict and not as part of modern Jewish history or as a country with a rich, diverse culture whose population persevered for self-determination. That’s unfortunate because, as recent Stein student and former ISMI intern Dana Pearl said, there’s a need for objective, intellectual classes on Israel, even among Jewish day school graduates like herself. Pearl said the idea of standing up for Israel on campus because it produces Sabra hummus or invented the cellphone didn’t resonate for her. 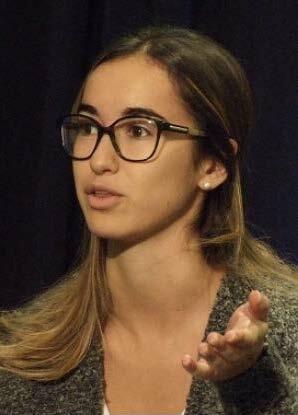 Dana Pearl, a recent Emory graduate who worked as an ISMI intern, discusses her research into possible correlations between college curricula that are negative toward Israel and anti-Semitic incidents on the same campuses. Dov Wilker, the American Jewish Committee Atlanta regional director, said Stein speaks to some of his national AJC colleagues more than he does because they seek the professor’s expertise on issues related to Israel advocacy. 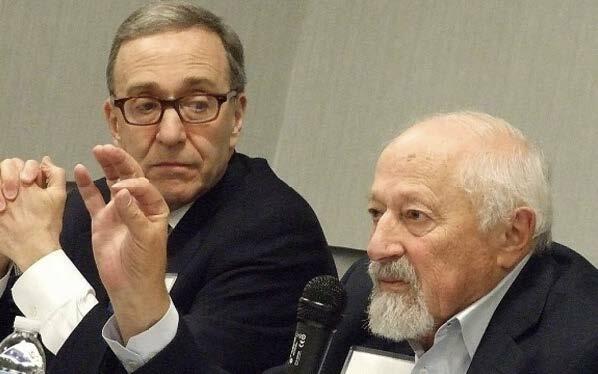 Alan Makovsky (left) brings an American and diplomatic perspective to a panel discussion, while Asher Susser provides an Israeli and academic view. Lois Frank, an Emory College graduate, longtime AJC member and former national chair of the Jewish Council forPublic Affairs, said she delights in seeing an Atlanta professor educating her AJC and JCPA colleagues across the country, and she said the panels of experts at the 20th anniversary weekend provided a taste of what ISMI has brought to Atlanta and the nation through the years.